Preschool at Home: 4 Tips to Get You Started! 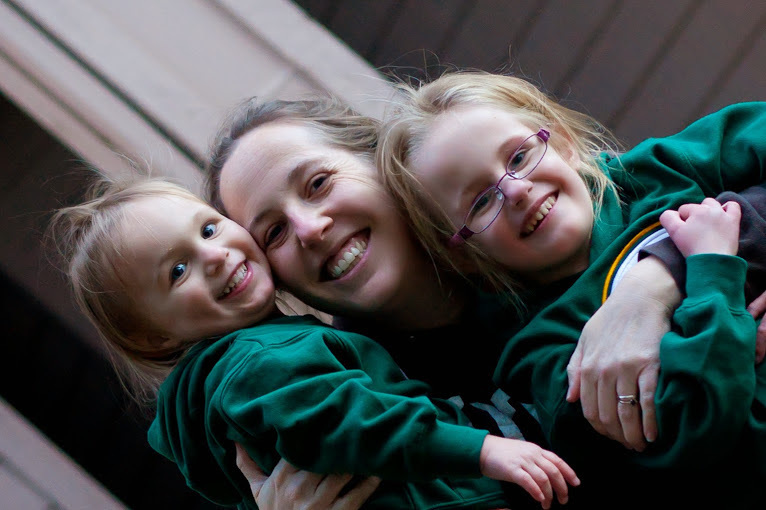 We started homeschooling five years ago right after our second daughter, Kate, was born. Before Kate’s birth, I had been teaching at a local Mother’s Day Out program where our older daughter, Addie, was also enrolled as a student three days a week. The entire time I was pregnant, the PLAN was that I would return to the classroom when Kate turned six weeks old. As those last few days of my (unpaid) maternity leave ran out, I just knew that there was no way we would be returning. I had glimpsed the simple joy of being home with my girls, learning together through play, and so…we made the choice to start our homeschooling journey. When I compare those first few months of homeschooling Addie to our current preK schedule for Kate, it’s clear to see how much I’ve relaxed in the past four years. So many of my friends are now homeschooling their oldest children through preschool, and I find myself sharing the same advice with all of them. Try not to push so hard. Children really do learn through play! Reading aloud to your little ones IS enough! Worry about teaching your children to read after their 5th birthday–if they haven’t picked it up on their own yet. Discover your child’s learning style. Both of my girls are auditory learners, so making educational playlists with recorded poems, favorite songs, important information like our address, phone numbers, etc. has been a great way for them to learn! Enjoy these young years! Spend time outdoors, playing with friends, and answering a million questions. Teaching our children *how* to learn is the best gift we can give! Have you done any homeschooling with your young children? What are your top preschool at home tips? Watch our FREE curriculum class, which will introduce you to 8 approaches to learning (traditional, Charlotte Mason, Waldorf, etc.) and the most popular curriculum options that go with each style. I am a work-at-home elementary teacher for elementary students online, but I have also been doing preschool at home with my toddler. Your tips are right on. I love your tip about determining your child’s learning style. That makes a huge difference. I am 100% visual, but my daughter is 50/50 visual and auditory. She needs to see it AND hear it.